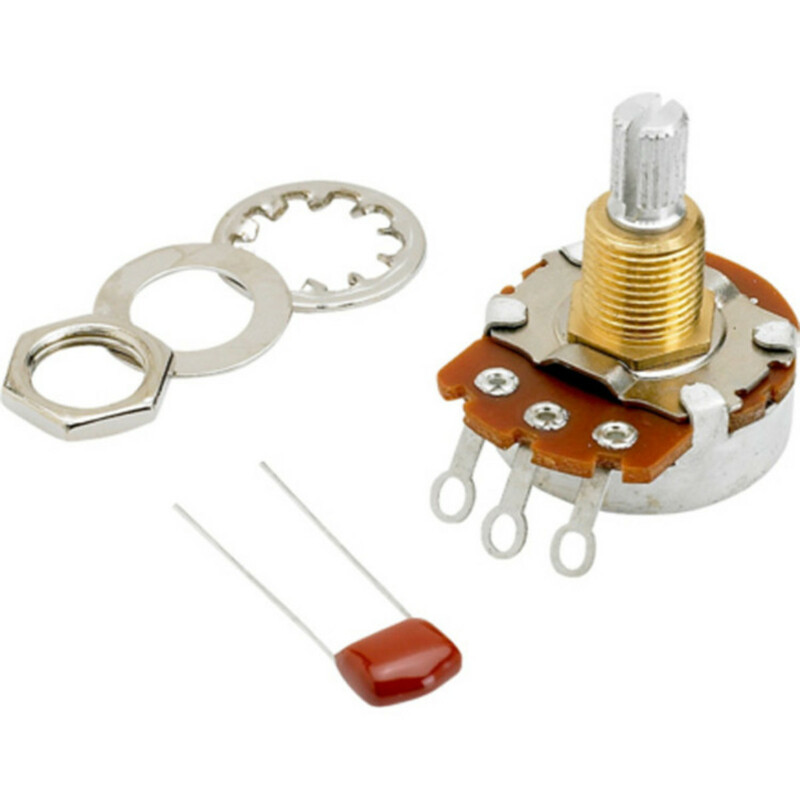 This top-quality potentiometer is used on US Fender instruments, and features a 3/8" potentiometer shaft with a split shaft design. The 500K version is usually associated with most humbucking pickups. It works with push-on style knobs and fits nearly all Fender instruments (US and Mexico) requiring a split-shaft potentiometer. The kit includes a mounting nut, washer and .022mf 250V capacitor.